H.G. 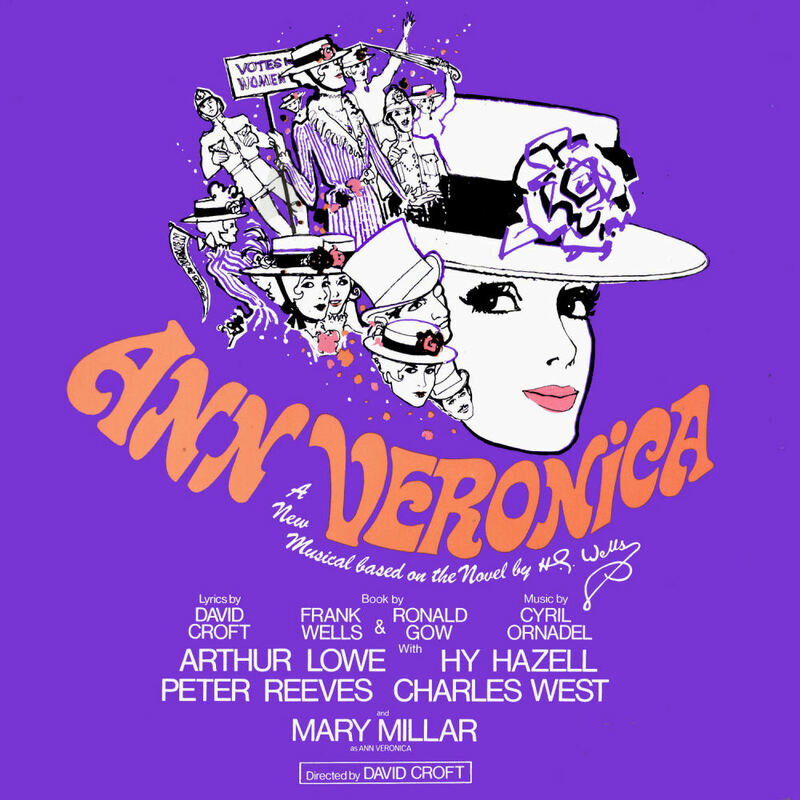 Wells' classic 1909 novel Ann Veronica was conceived for the musical stage by writer David Croft who with composer Cyril Ornadel began working on their adaptation in 1964. With music by Ornadel and lyrics by Croft, Ann Veronica was first presented at the Belgrade Theatre Coventry in February 1969 followed by a week long run at Brighton's Theatre Royal prior to opening at London's Cambridge Theatre on April 17th 1969. The story of 'Ann Veronica' details the rebellion of 22 year old Ann Veronica Stanley against her stern middle class father and her effort to make a mark on the world as a New Woman. Leaving home for a new life in London, Ann embarks on a journey of discovery becoming immersed in a world of intellectuals, socialists, and suffragettes. The London production of 'Ann Veronica' starred Mary Millar in the title role alongside popular British performers Hy Hazell, Arthur Lowe, Peter Reeves, Charles West, Ian Lavender and John Inman. Reaction from the London critics was decidedly mixed and the production subsequently closed after 44 performances. 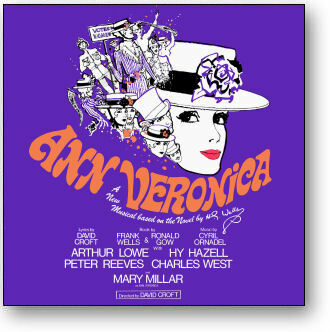 In March 1969, prior to the West End transfer, the 'Ann Veronica' cast album was recorded at London's CTS Studios in Belgravia. Stage Door is pleased to debut the London cast recording on CD, digitally remastered and featuring an extensive booklet with rare production photographs and detailed sleeve notes. All tracks licensed from Sony Music Entertainment UK Ltd.